Found these incredible headdress in the creative studio of Tokyo Wani. The group produces oversized basket works of knitted rattan. The headdresses were created for stage players and photo shoots. The group also creates store fixtures and window displays. You can see their cute latest design, kokeshi doll keychains, on their website. Images: Courtesy of Tokyo Wani. Kawaii is the culture of cuteness in Japan. 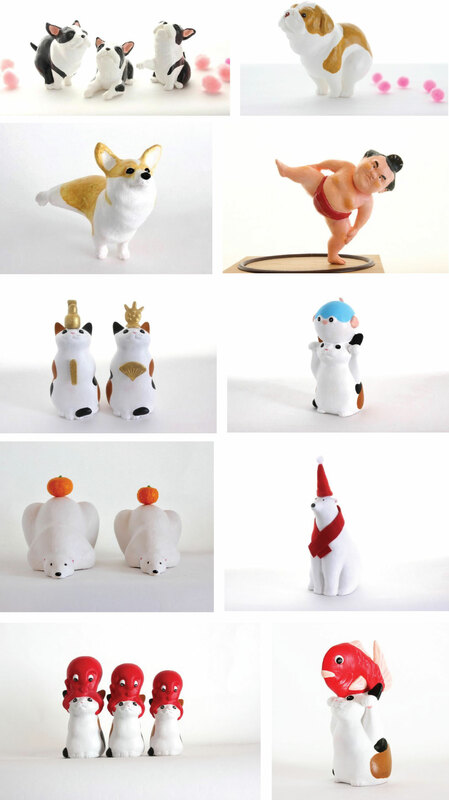 This aesthetic is translated as lovable, cute or adorable and can be seen in these “adorable” sculpted figures found in the Japanese handmade online site, Creema. The shop name is Eishun Hi but there is very little information on the creator except that he produces dolls and solid objects. You can view more of his work on Instagram as well as on his Creema shop. Images: Courtesy of Eishun Hi. Admiring the surreal and sublime illustrations of Milan-based artist, Alessandro Gottardo. This illustrator, aka Shout, has worked with top publications and major global brands, with his signature style uncluttered and minimalistic. Visit his website to view more of his work. Images: Courtesy of Alessandro Gottardo.